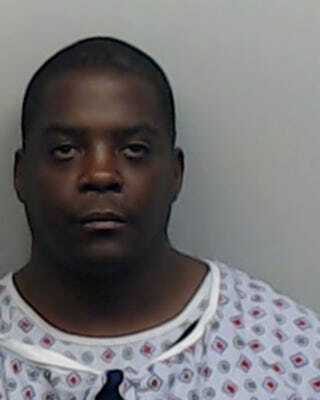 McCommons eventually returned to southeast Atlanta, then drove the ambulance into a light pole in the 300 block of Kelly Street, causing minor damage. He jumped out of the vehicle and ran, stripping off his clothing as he escaped. Griffin said Arass, a 3-year-old "hero" K-9, picked up a scent from the discarded clothing and tracked McCommons to a drainage sewer near Interstate 20. McCommons was taken into custody about 30 minutes after crashing the ambulance. He was charged with auto theft and several other traffic-related counts. "We found one of his shirts, so we knew we were somewhat on the right track. And then we found his shoe," said Atlanta Police Officer Robert Godwin, the dog's partner. Arass followed the scent in an area that is difficult for even search helicopters and ground patrols to search in the dark. "At the beginning of Capital Avenue, she jumped the wall went around the corner of the sound barrier. There he was laying in the bushes," Godwin said. Godwin was quick to share credit for the capture with the ground team that secured the perimeter and tracked the ambulance by GPS. Suspect McCommons waived his first scheduled court appeared Wednesday morning.